How much Social Security Disability or SSI benefits an individual will get depends on how much that individual worked in the past and earned during that time or in the case of SSI it depends on the individual’s claim circumstances . stage, the Hearing stage is where the individual actually has a hearing in front of an Administrative Law Judge. The hearing is informal with only the judge, his secretary and often times the judge will have a vocational expert present to testify as to what jobs the individual can perform. 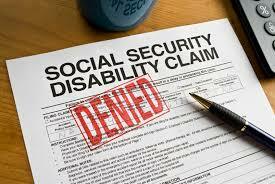 No fee is collected if your social security disability claim is not won, and fees are only collected on the back end. Lawyers receive 25% of the back benefits up to a certain amount which has been set by law. Statistically claimants that are represented by an attorney are much more likely to win their claim. Using legal help eliminates both the necessity of waiting in long government lines and the chance that a government clerk’s incorrect notation on your condition will jeopardize your claim. All aspects of your case, including complicated paper work, will be handled professionally. Statistically individuals who have representation of an attorney for their Social Security Disability or SSI Disability Claim win more often than those who are not represented. Therefore it would be wise to consult with an attorney to have the best chance of a successful claim. The hardest part of the whole claims process is being patient. Once you request a Social Security Disability or SSI Disability Claims hearing, it may take over a year to actually have a hearing and then another 3 to 6 months to get a decision. Your Social Security Disability or SSI Disability Claim will be handled at any stage in the process including application and appeals. Remember, there are no fees unless you win your case and you collect benefits. • Make sure you receive all the Social Security Disability and/or SSI Disability benefits you are entitled to.